February 12th: Annual Meeting & Welcome New Buyers & Vendors! A huge thank you to everyone who attended our Annual Meeting last week! We left the meeting feeling inspired and excited about the good things to come this year! Currently Available This Week: apples, beets, carrots, celeriac, chard, garlic, kale, kohlrabi, onions, parsnips, potatoes, rutabaga, salad greens, sweet potatoes, turnips, winter squash, rosemary, wild mushroom medleys, and more! We also have delicious bread, bagels, yogurt (NEW lemon flavor), pudding, cheese, eggs, maple syrup, granola, cider, condiments, and local beef, lamb and pork. Welcome to The Mad Radish CSA operating on The 1780 Farm in Chesterfield. They currently have beef, lamb and pork available and will have vegetables and more in the coming months. 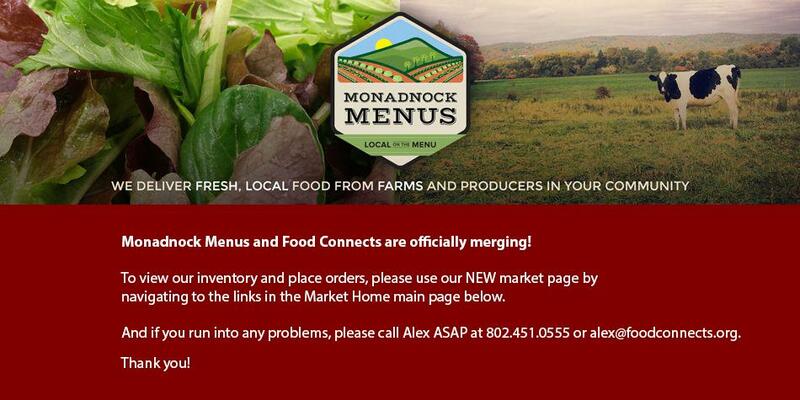 Welcome to the Monadnock Food Co-op Produce Department. We're happy to have you on board, joining the Perishable & Prepared Foods Departments. - Monday is Presidents Day - if you're closed, don't forget to put your order in ahead of time. Order deadlines remain the same. Thanks! Here at The Mad Radish CSA @ The 1780 Farm, we grow vegetables, herbs and flowers for a diverse CSA, farmers markets, our farmstand, and wholesale accounts. We aim to grow the most nutritious food possible on land in the heart of Chesterfield, NH. We are very focused on improving the health of the soil on this farm, which will in turn grow more vigorous, nutritious food for our community. Visit our website to learn more about us and our growing practices! Winter shoots and microgreens! Stay tuned! FEATURE INVENTORY Grade B Organic. Juicing. Description: Grade B Organic. Juicing. Carrots are odd sizes and random cuts.